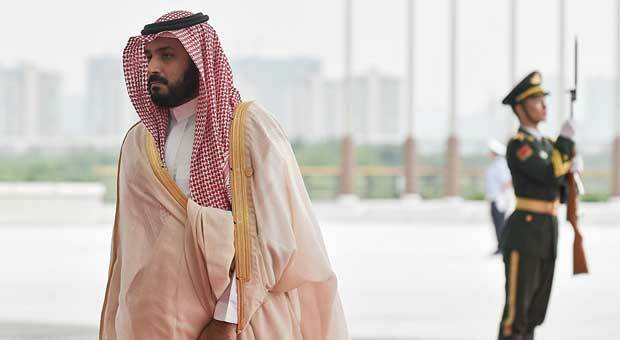 Saudi Crown Prince Mohammad bin Salman has said that in the case of Iran developing a nuclear weapon, his country will follow suit as soon as possible. "Saudi Arabia does not want to acquire any nuclear bomb, but without a doubt, if Iran developed a nuclear bomb, we will follow suit as soon as possible," Prince Mohammed bin Salman to CBS. Sputnik news reports: This is not the first time when the successor of the Saudi throne likens the Iranian supreme leader to the head of Nazi Germany. 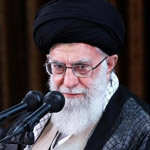 Last November, during an interview to The New York Times, bin Salman stated that Khamenei "is the new Hitler of the Middle East," adding that Riyadh doesn't want Ayatollah Ali Khamenei to "repeat what happened" in Europe and the region. 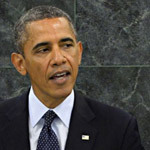 Last week, the Arab Ministerial Quartet Committee, comprising Saudi Arabia, the United Arab Emirates, Egypt and Bahrain, issued a statement after an Arab League meeting in Cairo, condemning Iran's continued development of its ballistic missile program and expressing concerns over what it described as Tehran's lack of seriousness in complying with the 2015 Joint Comprehensive Plan of Action (JCPOA). 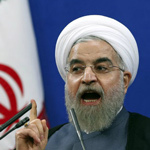 Iran, in its turn, dismissed the statement as “completely worthless,” adding that the Quartet "should know that Iranophobia has become a failed policy." Benjamin Netanyahu, Prime Minister of Israel, uses a diagram of a bomb to describe Iran's nuclear program while delivering his address to the 67th United Nations General Assembly meeting September 27, 2012 at the United Nations in New York. The two major Middle Eastern powers, Iran and Saudi Arabia, have deep disagreements on a number of regional issues, including conflicts in Syria and Yemen. In 2016, Saudi Arabia severed ties with Iran following protests in front of its diplomatic premises in Tehran. 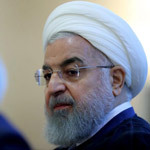 Recently, Iranian President Hassan Rouhani named two conditions for a thaw between the two countries, saying that Riyadh should "stop the misguided friendship with Israel and the inhuman bombardment of Yemen."